Anne Cochran began her career as a teenage, lead vocalist in Cleveland Ohio. Singing in and around the Rock and Roll Capital at bars and clubs that she was quite often, too young to get into, this underage, endearing, and energetic beauty would rock the stage emulating her idols, Linda Rondstat, Tina Turner, and Bonnie Raitt. Eager and determined to prove she wasn't just another "Chick in The Band", she was honing her rock and soul chops by night, but she was also studying and earning her degree in Theater and Voice at Case Western Reserve University by day. ON THE ROAD... 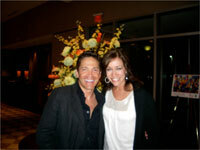 When Anne and her young friend, (the soon to become "Piano Romance Man") Jim Brickman, entered and won a "You Light Up My Life" radio contest, they began a stellar twenty year stage and studio collaboration that has gone on to produce many hits, 4 PBS Specials and countless sold out shows throughout the world. Today, most of the year is devoted to touring with Jim and crew. A six-week, 30+ stop, Holiday Tour has been the jubilant yearly climax of their longtime professional and personal relationship for more than a decade. These performances have been enriched by "joint ventures" with the Symphony and Pops orchestras of Pittsburgh, Atlanta, Minneapolis, Colorado, Phoenix, Louisville, Kansas City, Hartford, Cincinnati, Nashville, Columbus, and their eminent conductors. Her Top 5 single "After All These Years" is a well deserved, exclamation point on her work with Brickman and has led to many stage and TV performances including NBC's "A Golden Moment", as well as a tour with "Stars On Ice" at Madison Square Garden and Gund Arena where she accompanied Olympic medalist Rosalynn Sumner's "Farewell To Ice". The now classic song has become a staple at weddings and anniversaries of fans and friends who can't help but love her. Known for her warm and welcoming presence, on and off the stage, Anne has shared memorable duets and performances with the likes of Collin Raye, Donny Osmond, Dave Koz, Tracy Silverman, Jeff Timmons, Greek tenor, Mario Frangoulis, Michael Feinstein, Wayne Brady, Michael Bolton, Linda Edder, Orlagh Fallon, Richie McDonald, Canadian tenor Mark Masri and has co-hosted with the beloved comedian Bob Newhart. Anne has sung The National Anthem at many major national sporting events, and specifically stirred the crowd with a crystalline rendering of ESPN's broadcast of "The Star Spangled Banner" at the NCAA's Women Basketball Championship Final playoff. 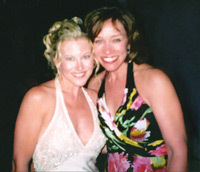 Solidifying her reputation for versatility and adaptation, Anne Cochran is known as a "First Call" for many jingle producers and advertisers, and is the familiar voice of hundreds of popular, well known television and radio commercials. Over the years, Anne has been a busy girl in the studio and since releasing her first solo CD, "Anne Cochran", followed by "Thinking of You", she has managed to carve out time to write original material as well as put her musical stamp on classic favorites from the American Songbook. She has released a wonderful series of CDs in the past decade, with evocative titles like "Thinking of You", "Lucky Girl", "This Is The Season", "All My Best", "Cover Girl", "Christmas Wish", "Two of Hearts" and "Close To Me". Her heartfelt performance on the studio recording "Someone Is Missing At Christmas" is a recurrent addition to national radio playlists every Holiday Season. Anne Cochran's latest solo, album project, "Deeper", has reunited her with another longtime friend, collaborator, and producer, Abe LaMarca, and is currently on its way to enjoying two hit singles; "Who's Gonna Baby You?" and "The Moment You Were Mine". The CD is being hailed as some of her best vocal and creative work to date. Their incredible vocal blend and stage chemistry has been packing 'em in at sold out shows as they celebrate the CD's success. 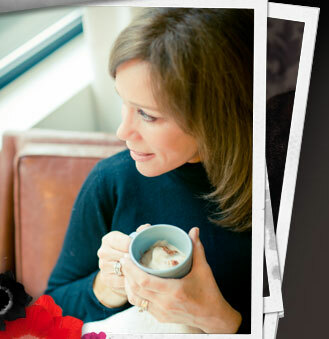 Anne can be heard co-hosting Jim Brickman's syndicated radio show on occasion, and has also enjoyed guest emceeing NBC's morning talk show "Good Company Today" as she effortlessly glides from conducting interviews to providing hands-on cooking segments. In typical Anne Cochran style, this devoted wife and mother of two does it all with equal aplomb and grace.